WASHINGTON — The next Missile Defense Agency director will be now-Vice Admiral Jon Hill, who currently serves as the agency’s deputy director, the MDA has confirmed. Hill will replace Air Force Lt. Gen. Samuel Greaves, who will retire July 1, according to MDA spokesman Mark Wright. The newly minted vice admiral’s nomination for the position was sent to Capitol Hill the last week of March. 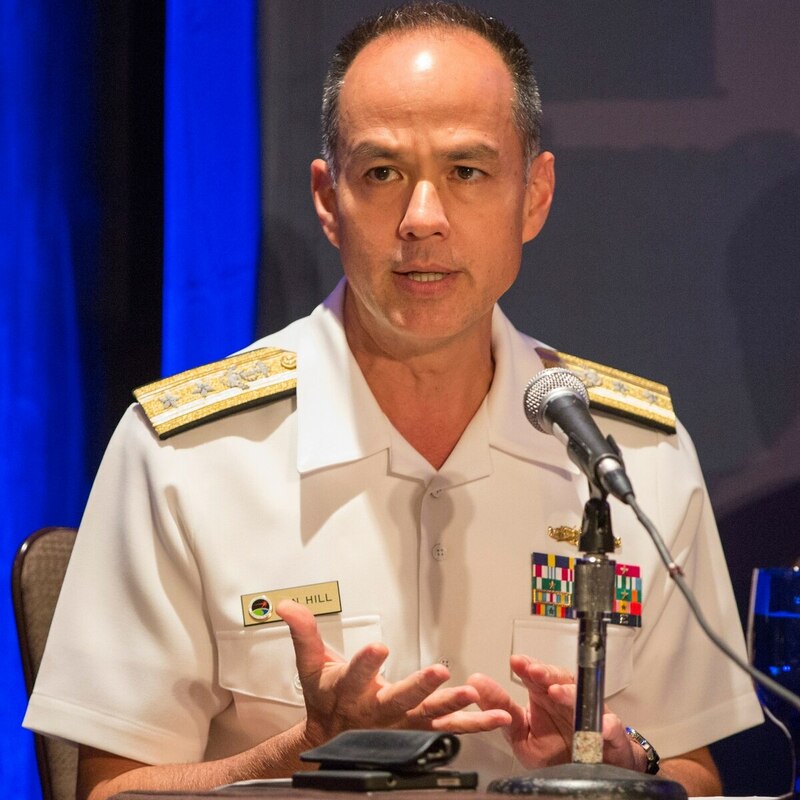 Before Hill became deputy director in 2016, he served as the U.S. Navy’s Program Executive Officer for Integrated Warfare Systems (PEO IWS) beginning in 2014 where he garnered experience in integrated air-and-missile defense. The Missile Defense Review released in January lists space-based missile defense sensors and drones with lasers as part of its wish list for missile defense capabilities, but these new desires are not highlighted in the agency’s FY20 summary of its budget request. Hill has maintained the United States is ready to defend against the biggest threats to the homeland such as the North Korean intercontinental ballistic missile threat. At the Defense News inaugural conference in 2017 he stressed the U.S. military was prepared to counter any such threat, but he warned that additional funding is needed to fortify defenses for more formidable threats to come, adding the real concern is that threats will become more complex. The vice admiral will take the lead of an agency that is now tasked to carry out initiatives advocated for in President Trump’s recently released Missile Defense Review (MDR). And he will likely have his hands full wrapping up a series of studies requested within the MDR to include designating acquisition authority to a service or defense agency on ways to defend the homeland from offensive cruise missiles; assess the number of Terminal High Altitude Area Defense (THAAD) battery requirements, which has been up in the air for years; and whether Aegis destroys can be converted to become fully capable against incoming missiles within 10 years. He’ll also be tasked to come up with ways to accelerate efforts to enhance missile defense tracking and discrimination sensors; how the F-35 Joint Strike Fighter can be used as a missile defense system; and how to go about developing and fielding a space-based sensor layer as well as a space-based intercept capability.